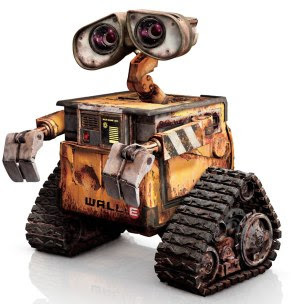 >I have yet to see the latest Disney -Pixar animated movie but from the previews I’ve seen WALL•E himself and he reminds me of another robot. 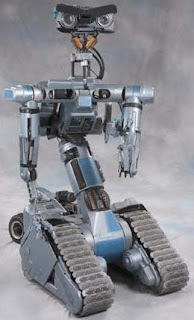 Have you see Short Circuit? It’s the story of a robot, Number 5, that is electrocuted, becomes intelligent, and then escapes from the lab where it was developed. They even made a Short Circuit 2 where the robot goes to the city, kind of like the Babe movies. Take a look at Number 5 and WALL•E surely they are family.